Guanajuato, Mexico. 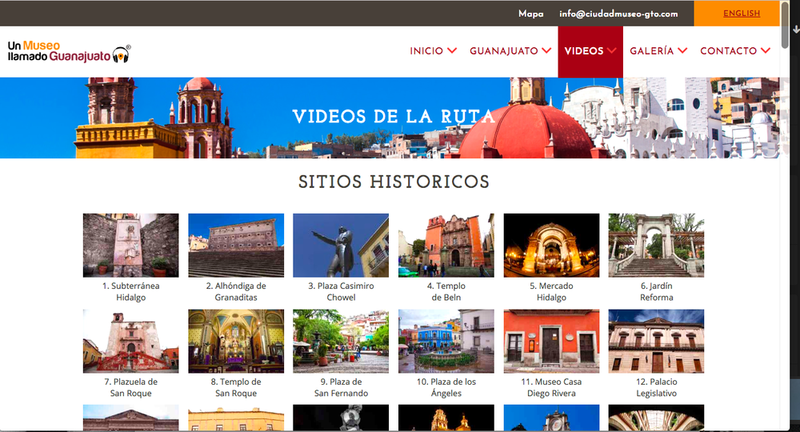 Un Museo Llamada Guanajuato. The trend of digitizing museum content adds more layers of interpretation within the physical museum, and accessibility almost anywhere beyond the museum walls. Technology has a magical superpower of scale; it allows us to drill deeper and be more expansive at the same time. The trend of some travel guide apps is to invite visitors to think of the world at large as a museum, turning cities into interactive floorplans and travelers into virtual scavenger hunters. When I noticed this (tangible) street marker and discovered this virtual museum, it explained the irritating drones I’d been seeing all over the city. It also seemed to justify them, providing the heady experience of flight on their website, literally zooming in and out of the city. Technology is pervasive and seductive. And yet “real” or “original” content remains grounded in the physical world, at human scale. Whether it’s a museum object, site, or phenomena, it’s our social experience in real public space that is our inevitable beginning and end point. I wonder to what extent visitors deny themselves a direct experience of their own, before and after turning to the magic superpower.